Read the new Promotions:Play on the best online and mobile casinos all kinds of blackjack or 21 with the best software and no deposit free money to play for real cash. Blackjack (also known as 21) is a popular card game. Often played for money, especially in casinos . The goal of the game is to beat the bank/dealer by having cards with a total of points, closer to 21 than the total points of the cards the bank will have. If the player overrides the 21 points, he loses the game. Value of the cards: Jack, Queen and King are worth 10 points. The cards 2-10 have the value they show. The ace is 1 or 11 points (depends what value is the closest to 21, without exceeding 21. If the dealer has the same points as the players, it is a "stand-off" or "push". All players play individually against the bank (dealer). Almost always the game is played with open cards. After the bets are placed, the bank (dealer) deals clockwise to each player two cards and one card for himself (in US 2, but 1 closed). If a player reaches 21 points with the first two cards, so an Ace with a 10, Jack, Queen or King, this is called blackjack and the player wins 1.5 times his bet, unless the bank also can show blackjack , then it’s a stand-off. If the dealer cannot match the 21 points, neither with his second card, the blackjack will be paid immediately. If no player does have a blackjack, the game goes on. Players can split, double, asking another card, or pass. Over 21 points the player loses. If all players have passed, the dealer deals cards to himself. He stops when he has reached 17 or more points. So when minimum 17 is reached, the points of the croupier will be compared with those of the players. If a player has more than the dealer he wins the bet (and gets his bet back twice). Is the score even, the player may keep his bet. With less points the player loses the bet to the bank. 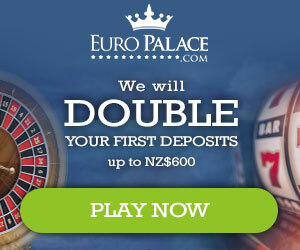 €200 first deposit bonus - Double your chances to win – the more you deposit the more you get – up to $/£/€ 200. When Doubling your bet, you get only one card from the dealer. In Europe, this option is often available only if your first two cards have a total value of 9, 10 or 11. Split is possible when the first two dealt cards have an equal value or equal rank. Some casinos allow splitting pairs as 10/Jack, Jack/King, King/Queen. Others allow to split only two King, two Queen, 2 Jack and 2 tens. After splitting, the same bet has to be placed with the second card. Both cards are then played as if two separate games with each individual bets. Insurance is a possibility when the first card of the dealer is an Ace. Insurance means making an additional bet on the insurance line with half the amount of the original bet. If the dealer should have blackjack then your insurance wager will be paid x2 to compensate the loss of your original first bet. If the dealer does not have blackjack the insurance bet is lost. €$25 Free Chip - Redeem Coupon code - 20x wagering requirement and maximum allowed withdrawal of $100. - $10 Free - No Deposit bonus as a new player + first deposit of $100 will match up to another $100! $50 Free Chip - No Deposit RequiredCoupon: COOLCAT50 - for all new players to CoolCat Casino. Bonus comes with a 25X wagering requirement and a $100 min/max cashout. $10000 Free on first ten deposits - Ten 100% match deposit bonuses - up to $1000 free each. 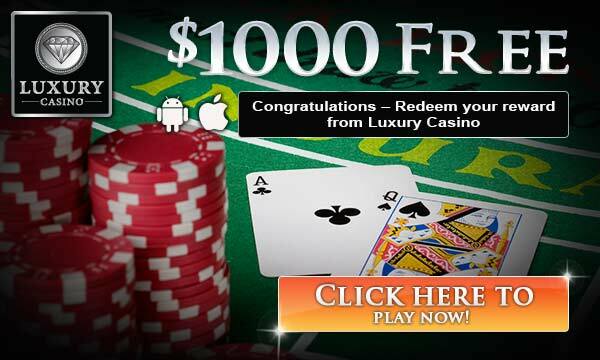 $500 Free Casino Creditsto win as much money as you can playing the very best in online blackjack, roulette, video poker and slots- Your free $500 can get you a lot of hands of blackjack! 200% Signup Bonus - Blackjack Games - No restrictions - Redeem Coupon Code: PLAY21 - Min Deposit $30 - no playthrough requirements and no maximum cash-out limit. Blackjack is one of the casino games most often associated with sophistication, style and elegance. The game has a great reputation for entertaining play and thrilling finishes which adds an edge of excitement to all hands. The Blackjack experience at Spin Palace is unsurpassed and our players enjoy massive rewards at our exclusive state-of-the-art tables. We genuinely understand the unique atmosphere that accompanies play at a quality table and all of our Blackjack games deliver superb realism. At Spin Palace you'll find a selection of over 40 Blackjack tables givingyou the ultimate luxury of choice. We have multi-hand versions of blackjack which offer you the opportunity to maximise your profits by betting on more than one hand. Take your play up a notch and make the most of your chance to be a big money winner.